Vital Communities and Edgewater Farm are in cahoots making rad things happen for kids. Below you will read a little blurb written by Lauren of Vital Communities, bottomline- it’s an opportunity to engage kids on eating local seasonal food in a seriously interactive way. For example, last week the POP folks were somehow able to get kids excited about Kol-Rabi- KOL F’ing RABI, one of the most undesirable vegetables out there. read on! Families: bring the kiddos to the farm stand for our POP Club! Kids can get a taste of local fruits and vegetables this summer—plus their very own money to spend on fresh, local produce— with our new Power of Produce (POP) Club, happening every Wednesday from 11am-1pm right here at the farm stand, through August 16th ! Power of Produce Clubs are simple, fun, and free. Children sign up at the POP table and start the day’s activity—a farm stand scavenger hunt, a vegetable quiz, an art project, or another produce-related activity. Once they complete the activity, they return to the POP table to receive their POP Bucks: $3 tokens just for kids to spend on local fruits and vegetables here at the farm stand. Kids ages 5-12 can participate once or all summer. So bring the kids and get a taste for POP! They just might start shopping for their own vegetables. Every Wednesday this summer from 11-2. Food, HNH Foundation and the New Hampshire Charitable Foundation. In other news, I am writing this newsletter at 6 am next to my woodstove, dreaming about lighting a little fire in it to stay warm and it’s July 25th- For all of you wondering when the tomatoes will be rolling in, please take a second and have a conversation with the sun- ask her to stick around for awhile, because, C’MON! Turn on your grill. Especially for the summer squash, eggplant, beets, peppers, and wax beans! KALE: an actual superhero vegetable rich in antioxidants. According to Greek myth, “the first crucifers sprang from beads of sweat on the brow of the god Zeus.” While, the family of crucifers includes not only kale, but also cabbage, broccoli, radish, mustard greens, etc- I believe that if any of those vegetables acted as beads of sweat springing from Zeus’ brow, it was undoubtedly the kale plant. More than myth, the kale plant is packed with glucosinolates- a cancer fighting compound. Bottomline, embrace these leafy green powerhouses. Smoothie: A serious staple in our family… chop up small, and throw in a smoothie- the kale haters will never know!!! I swear- It’s been tested. I usually do one kale leaf chopped teeny tiny and thrown into a mix of berries, bananas, yogurt, nutbutter- immersion blend, and enjoy. Eggs: Again, a staple in my family. Without fail, every morning for the past 2 months we’ve been eating this breakfast with zero complaints (thankfully, one of the eaters is an easily impressionable toddler). Chop and sautee the kale in your favorite oil of choice - we like coconut- once slightly browned, throw in the eggs, grated cheddar, scramble and serve. KALE CHIPS: If you are feeling up for turning on your oven… do this! These little chips are awesome. Kale-Dusted Popcorn If you’re making the chips with the intention to grind them up for popcorn, I’d use less oil — perhaps half — so they grind without the “powder” clumping. I ground a handful of my chips (about half) in a mortar and pestle (well, actually the “pestle” was MIA so I used the handle of an OXO reamer, not that anyone asked) and sprinkled it over popcorn (1/4 cup popcorn kernels I’d cooked in a covered pot with 1 1/2 tablespoons oil over medium heat, shaking it about with potholders frequently). I seasoned the popcorn with salt. I liked this snack, but I think Parmesan and Kale-Dusted Popcorn would be even more delicious. Next time! Make pesto (see last week’s share!!! ): in bowl of food processor, add basil, pine nuts, salt and garlic. Pulse until mixture is coarse and grainy. With motor running, add oil in slow, steady stream. Add cheese; process just enough to mix well. If sauce is too dry, add a little more oil. Taste; add more cheese or salt, if desired. !!!!!!!!!!!!!!!!!!!!! !Double Feature this Friday Night!!!!!!!!!!!!!!!!!!!!!! BRING YOUR OWN BLANKET AND CHAIRS FOR SITTING and beer for drinking. In a blender, puree the cucumbers, yogurt, lemon juice and garlic. With the machine on, gradually add the 1/2 cup of oil until incorporated. Transfer to a bowl, stir in the chopped dill and season with salt and pepper. Cover and refrigerate until chilled, 30 minutes. Ladle the soup into bowls and garnish with a drizzle of olive oil and dill sprigs. The soup can be refrigerated overnight. Mix a brine of 4 cups water and 4 tablespoons of salt. The brine should taste good and salty. Coarsely chop the cabbage, slice the carrots, and let the vegetables soak in the brine, covered by a plate or other weight to keep the vegetables submerged until soft. This can take a few hours or overnight is even better. Add other vegetables to the brine such as snow peas, seaweeds, Jerusalem artichokes, anything you like. Prepare the spices: grate the ginger, chop the garlic and onion, remove seeds from the chilies and chop or crush, or throw them in whole. Kimchi can absorb a lot of spice. Mix spices into a paste. You can add fish sauce to the spice paste, just make sure it has no chemical preservatives which function to inhibit microorganisms. Drain brine of vegetables after soaking. Reserve the brine. Taste the vegetables for saltiness. You want them salty but not unpleasantly so. If they are too salty, rinse them. If you cannot taste the salt, sprinkle a couple teaspoons and mix. Mix the vegetables with the ginger-­chili-­onion-­garlic paste. Mix everything together and stuff it into a clean quart size jar. Pack it lightly, pressing down until brine rises. If necessary, add a little of the reserved, vegetable­ soaking brine to the submerged vegetables. Weigh them down with a small jar, or a zip­lock bag filled with some brine. If you remember, you can just push them down with your fingers. Cover with a dish towel over the jar to keep our dust and flies. Ferment in your kitchen or other warm place. Taste it every day. After about a week, when it tastes ripe, move it to the refrigerator or cool storage space like a root cellar or a hole in the ground. 2 While the food processor is running, slowly add the olive oil in a steady small stream. Adding the olive oil slowly, while the processor is running, will help it emulsify and help keep the olive oil from separating. Occasionally stop to scrape down the sides of the food processor. I think i’m in real denial about strawberry season. Right now we are in our 4th week of picking and I feel like we should have at least another 2 weeks to go… but the berries are getting soft due to the hot July sun mixed with the constant rain. Today, the COOP sent back 14 Flats claiming them unsellable. This put a little gloom in the day knowing that the berries are no match for this unrelenting Summer of terrible weather. As a result, many of the folks on field crew got to take home flats of berries to process and freeze for their own chest freezer. Last night Ray and I put up 6 flats feeling grateful to not pick any more berries for the day, but a little sad as we analyzed nearly every berry while we halved and bagged them. We are not upset with the COOP, we understand their reasoning- this happens with our flats every year towards the end of berry season (particularly when we pick in the rain which we did yesterday morning), but we did not anticipate it happening so soon… If you do not understand what I mean by soft berry, see your quart- sweet tasting, but soft so quick to mold. That said, there is still a ton of fruit in the field- I’m not kidding- people are still walking away from our PYO patch grinning ear-to-ear over their harvest- but it is unknown how much longer we will keep the Pick Your Own Patch open. So, just to be on the safe side- let’s all go glean some berries! WHAT: A Strawberry Gleaning takes place towards the end of a crop's productive season. The purpose of the glean is to invite the C.S.A. community down to the farm to pick off any extra berries for their own kitchen. The gleaning will take place rain or shine (preferably shine). The field is yours to pick through and whatever berries you can find are yours. The berries are free- and the experience is priceless. Dear CSAers, I swear I’m not trying to be the CSA that loads you up with zucchini week after week- it’s just been a hard summer and crops are slow to ripen… but the zucchini crop is coming in hot… so, get together all your zucchini recipes- breads, on the grill, fried, etc… and let’s be thankful for this one crop that just won’t quit. 1 small minced or crushed clove of garlic fresh dill!!! Return deflated mass of zucchini shreds to bowl. Taste and if you think it could benefit from more salt (most rinses down the drain), add a little bit more; we found 1/4 teaspoon more just right. Stir in scallions, chard, egg and some freshly ground black pepper. In a tiny dish, stir together flour and baking powder, then stir the mixture into the zucchini batter. For the topping, if using, stir together the sour cream, lemon juice, zest, dill, salt and garlic and adjust the flavors to your taste. Dollop on each fritter before serving. These fritters are also delicious with a poached or fried egg on top, trust me. 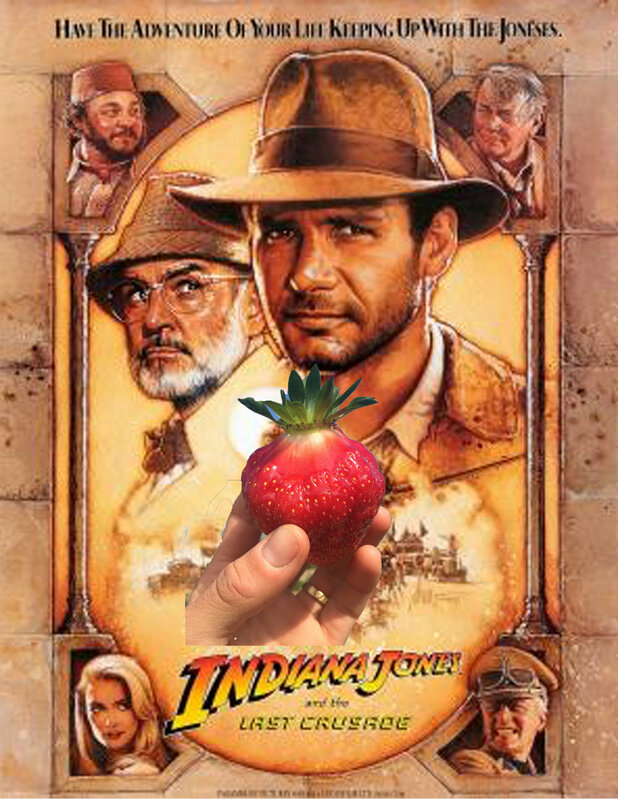 Honestly, it’s been a hard strawberry season. With the late arrival of fruit and what-feels-like constant rain, we are working everyday at keeping up with the ripening. Right now we are into our third week of picking berries and at times if feels like we are on week 5. Working the strawberry fields row by row, we not only pick the good berries into quarts but also pick off bad berries to avoid rotting out the rest of the fruit and plant. Our PYO is a huge help here, but it is the field crew- the same 11 of us that show up every morning at 5 am to start with the morning pick. With heads down, and butts held high, we work the rows 1 strawberry at a time. I have a lot of love for field crew this time of year. Though the berry crop is looking a little tired these days, our field crew is up and at ‘em with spirits high. Presser greets us every morning DJing up a set from his boombox- alot of lazer beam- air horn- reggae tunes mixed with the occasional gospel and we all pick together as the sun rises over the fields into the noon day sun. But the berry season is not over- and it’s not all doom and gloom- still plenty of fruit in the PYO patch! And the berries that we are selling in quarts at the Farmstand and around the Upper Valley remain beautiful and sweet and plentiful Also, though strawberries are our one of our biggest crops at the farm we are lucky to be highly diversified. We grow a ton of different crops which is insanely helpful when one of our biggest crops does not grow according to plan. Who knows, maybe it will be a big Bok Choy year…. (this is a joke, it will never be a big bok choy year in Plainfield, NH). Fennel- food, medicine, and herb! In ancient Greece, fennel was used to celebrate the gods- planting it in temple gardens and making crowns from the feathery leaves. The ancient Egyptians, Greeks, and Romans believed fennel an aid for digestion, bronchial troubles, and poor eyesight. Like Kohlrabi, fennel is an excellent vehicle for dipping. People love fennel shaved into a salad, the folks at our farmstand are brilliant and chop it up into water sometimes with mint, like a sun tea, so refreshing! Also, if you dare turn on your oven you can make delicious gratin paring the zucchini and fennel, just ask google. Meanwhile, combine the water, sugar and vinegar in a saucepan, bring to a boil and remove from the heat. Pour into the bowl in which you combined the vegetables, and allow to cool to room temperature. Briefly rinse the vegetables, and squeeze dry. Add to the bowl with the vinegar mixture, and stir together. Refrigerate for one hour or longer. To serve, lift from the vinegar bath with a slotted spoon and arrange on a platter. Garnish with the mint or cilantro, and serve. Remove the kohlrabi stems (which grow out of the bulb) and peel off the tough outer skin. Peel the beet. Slice the kohlrabi and the beet into matchstick sized pieces. Remove the stems, fronds, and any damaged outer layers from the fennel bulb. Slice the fennel into thin pieces, about the same length as the sliced kohlrabi. Combine olive oil, apple cider vinegar, mustard, and honey, and whisk until smooth. Toss the sliced vegetables and apple in a bowl with the dressing. Season with salt and pepper to taste. Being playful and whimsical with food is how any cook stays inspired. We take for granted the abundance of our produce at the height of the season and sometimes forget to continually express new textures and flavors. I greatly enjoy using lesser known or uncommonly found ingredients during this point of the season to highlight their many utilization's. So now to shine the light on the mysterious kolhrabi... Sometimes affectionately refereed to as Vermont Jamaica, by Mrs.Suzanne Long of Luna Bleu Farm.... Kolhrabi is a Germanic Turnip. It's round bulbous root mass can create a somewhat thick exterior trapping its sweet dense radish like flesh. While at the same time sprouting beautiful broad brassica-like leaves ideal for low and slow braising. Cut Kohlrabi into large uniform cubes. Place in pot of water and fill with cold water. Season water with salt aggressively. Turn to high and allow to come to a boil. Once boiling carefully remove one piece to test doneness. Personal preference but I like a bit of crunch to by "potato salad." Drain water and remove from pan onto baking tray and allow to cool in fridge. 2) Once Kohlrabi is cool to the touch mix all remaining ingredients in large bowl together. And taste for seasoning. Use reserved stems and leaves to make "collard greens" a traditional low country slow braise of hearty thick brassica leaves with pork shanks and apple cider. Or a healthier route is to saute them with molasses, whole grain mustard, and a touch of brown sugar in olive oil. SHE SAYS ROAST!!! IT REALLY BRINGS OUT THE SWEETNESS. Happy Harvest Season CSAers!! I want to go on and on about how this Spring has been terrible on the fields and the general mood. But, I’ll save it. We were all there doing it together- living in the Upper Valley and feeling moldy due to the constant showers. As a result, everything is later- the crops are smaller and the berries are just now beginning to ripen. That said, now we have summertime heat and every single crop is pumped- and I, for one, am jazzed. But enough about the weather- let’s party!!! Let's celebrate the beginning of the Harvest Season down in Cornish Town aka Edgewater South! Help us eat last season's frozen strawberries (STRAWBERRY SHORTCAKES!) and watch INDIANA JONES under the warm summer night sky (unless it's raining thank-goodness for the barn). The event is free but bring cash for strawberry shortcakes. Your sweetest little basil plant: these little plants were freshly transplanted over the weekend, which means they would be happy living in that little pot for a bit. Water daily, give it lots of sun. If you plant in the ground in a pot- and keep it going to enjoy your own fresh basil all season long. Your sweetest little watermelon plant: If you have a place to plant this baby, please do so. She enjoys lots of sun and a little hill to grow on. Water 1x a day for the next couple of days, and then let nature run its course. Salad Season: For the next couple of weeks, you will get hit hard with salad greens- do yourself a favor and hone in on your fave dressing- be it a little lemon and olive oil, a wallop of ranch, or my personal favorite, sesame oil and coconut aminos. If you are up for trying something new, I urge you to jump on the latter train- Our salads have been insanely good since the introduction of coconut aminos (i know it is available at all coops)- and best yet it is so EASY. First make the dressing by adding all the ingredients, except the sesame seeds, into a blender or food processor. Run till everything is mixed and the ginger is basically destroyed. Add the sesame seeds and let run until it looks kinda sandy. You do NOT want this smooth; it’s got texture that takes it to another level of dope. Set this aside. When you’re ready to eat, start cooking the noodles according to the package directs. Drop the bok choy at the very end to blanch. Drain and run the noodles under some cold water to cool ‘em off. Throw the cooled noodles and veggies in a large bowl with about ¾ of the dressing, mint, and basil. Mix all that together until everything is coated in dressing and the herbs are evenly distributed. You can either serve this right away the cucumber, carrots, and avocado piled alongside the noodles in a bowl or you can let them cool for a couple hours more, even overnight. When you assemble the bowls, pour the remaining dressing over the added veggies and enjoy yourself a refreshing lunch.